Click the button below to add the Acne Adult Facial Clear Soap #Adult Facial Acne Soap# to your wish list. Most soaps and cleansers for acne are made from harsh chemicals like tar, sulfur, salicylic acid, and animal fat (Sodium Tallowate). Sometimes your skin may temporarily improve, only to have the acne return worse than before. One reason that the acne returns may be attributed to your skin having been suppressed by the chemical agents in the soap, then later reacting to them. This can lead to more redness, irritation, and acne. We would like to suggest that using soap without harsh chemical sounding names may be a more natural and sustainable facial skin care routine for those that are dealing with acne, redness or blemishes. This soap is made by hand, the old-fashioned, with the purest ingredients. It gently cleanses while maintaining your skin's moisture level, leaving skin looking and feeling smooth and fresh. Made with simple ingredients like Jojoba, Coconut and Hazelnut with luscious Shea gently nourish your skin with Tea Tree and Lavender that are anti-bacterial. Renew naturally for healthier clear looking skin. I cannot explain how much I love this soap. It has single-handedly cleared up my acne. I've struggled for years with acne ranging from moderate to really bad. With this soap, my acne is under control. I use it before bed every night or sometimes every other night. You do need to moisturize after use, but that is a part of my routine anyway. All sorts of things may cause your skin to react, including pollution, oil, dirt, makeup, and even the food you eat may cause breakouts and prevent you from having acne free clear skin. Let our Adult Facial Clear Soap work to its fullest for clearer blemish-free skin. I've been using this soap for about a week and loved it! I have sensitive skin and had a pimple coming in when I first started using it. Within three days it was gone before it could even come to a head. I did hit it with their acne clear spot treatment to be sure. My face never felt clean like this. This has no smell either. I've tried dozens of acne treatment products including proactive. This bar has helped improved my skin acne so much. This cleanses the impurities and brings them out to the surface. This is small, but it should last me about 2 or 3 months with regular use. Soothes red, inflamed or itchy skin and helps protect sensitive, blemish-prone skin. Sandalwood Extract is a softening agent that helps condition the skin from dry and roughness and protects it from bacteria thanks to its antimicrobial effects. Shea Butter contains Vitamin A, Vitamin D, and Vitamin E, which may reduce any skin inflammation that can be caused by breakouts. Licorice Root Extract helps reduce redness due to pimples. 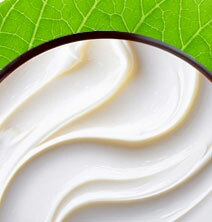 Coconut Oil helps improve skin conditions by reducing breakouts due to its essential fatty acids. It works as an antioxidant to block any free radicals that can damage skin. Lavender heals dry skin and takes care of nourishing it to keep it healthy. Hazelnut Oil is absorbed quickly and maintains hydration with Vitamin B and Vitamin E.
Wet face with warm water. Gently rub the soap on your hands until it lathers and massage it throughout the face. Rinse the soap completely off. It would help to remove the soap in circular motions instead of just splashing water onto your face in order to reduce any soap left behind. Pat with a dry towel. May be used daily. If dryness occurs, please use a moisturizer afterwards. • Apply your favorite moisturizer after you wash and rinse your face. • Pat the skin rather than rubbing it dry with a towel. • You can use this soap as a body and face soap. • Focus on the areas where blemishes and breakouts occur. Simmondsia Chinensis (Jojoba Seed) Oil, Hippophae Rhamnoides (Sea Buckthorn) Oil, Glycyrrhiza Glabra (Licorice Root) Extract, Hemidesmus Indicus (Sarsaparilla Root) Extract, Santalum Album (Sandalwood) Oil, Mahonia Aquifolium (Oregon Grape) Extract, Corylus Avellana (Hazelnut) Oil, Cocos Nucifera (Coconut) Oil, Butyrospermum Parkii (Shea Butter), Melaleuca Alternifolia (Tea Tree) Oil, Cymbopogon Martinii (Palmarosa) Oil, Lavandula Angustifolia (Lavender) Oil, Pelargonium Graveolens (Geranium) Oil, Pogostemon Cablin (Patchouli) Oil, Saponified. With the first use of this nutritive soap, my oily skin became normal and deeply cleansed. I've seen less breakouts since I've been using it and my face is looking clearer. This facial soap is all nutritive which I like. 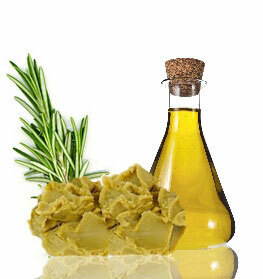 As a facial soap, it leaves the skin very clean and moisturized. After two uses of this clear soap my breakouts on looked smaller and my face feels very clean. This soap works great! I have very oily skin that seems to break out all the time. It started working on clearing my skin from day one. I have oily, breakout-prone skin with bad breakouts I've had oily, combination skin for years, mild blemishes, and have used everything and this is by far the best. I would recommend this nutritive breakout soap for all skin types. This soap works. One the first product I have ever used that has been so effective from day one. My breakouts subsided and my face felt generally healthy. I love your adult clear soap, toner and exfoliate. I have noticed an improvement in my complexion. Your products are very gentle and keep my skin soft and moisturized. I am so glad that I transitioned to your products. Thank you for being dedicated to bringing 100% nutritive ingredients and educating your customers on your website about the causes for bad health and solutions to better health. I opened the box and found a tiny bar of soap and was initially disappointed but I’ve been using it for two weeks now, it has not decreased in size too much and most importantly it’s working. Will definitely be buying again. I wash my face at night with the cleansing soap before i go to bed. Finish off with my facial day cream. Wake up the next morning and my face feels and looks great!! Ok guys. I was skeptical at first cause nothing ever works for my skin but this did!!! I suffer from dry, oily and sensitive skin and this worked great! The only thing I didn’t like was that it’s super small. And it did make my face a lol dry but nothing too serious. Love this soap it leaves your skin very clean. It’s a little drying but not as bad as the acne soap. I would recommend this soap for cleaning your skin.. This soap has really helped clear up my acne. I tried all sorts of stuff from target and my dermatologist and they would work for a little bit and then my acne would come back after a few weeks. With this soap, I have clear skin again! I have been using this for 6 months now and will definitely continue to use it. Love this soap it has a very refreshing scent and seems to help a little with my adult acne. I’ve been using it for 2 weeks so hopefully it will get better and better in clearing up my acne.. so far so good though..
As far as I cam concerned this is by far the best soap available. I have used Just Nutritive Adult Facial Clear Soap for the last few years and have been amazed with the results. Clear skin with no irritation. Highly recommend to anyone with acne problems. I would give this a 4 but for me the smell wasn’t pleasant. It could be I am use to the doves and other main brand smells. This does work my acne really is not noticeable anymore. Would buy again. I have been purchasing from Just Nutritive for the last couple of years. When I began noticing pimples on my back I decided to buy this soap. I definitely have already seen improvements in last then a month. I love how gentle it is on your skin because of the natural ingredients. Would recommend.